This is my first time reading Somer Canon and now I’m addicted. Hook an IV from her keyboard to my arm and let me mainline her stories. KILLER CHRONICLES is one of those rare stories that sticks with you long after you’ve turned the last page. Not only does KILLER CHRONICLES feature one of the coolest creatures in folklore, it also contains great characters and one helluva setting. You immediately feel unease from the first scene. I don’t read the synopsis before diving into a book. You could say I like to live dangerously. With KILLER CHRONICLES, I was pleasantly surprised. I’m talking from the first couple of pages Somer Canon had flipped the script and it sent me reeling. It had me doing a Zack Morris time out in my reading nook. 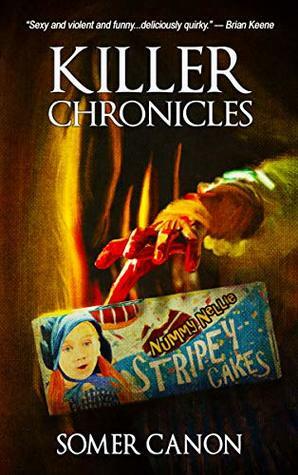 I think Somer Canon has done something completely different with KILLER CHRONICLES because I’ve never read anything like it. 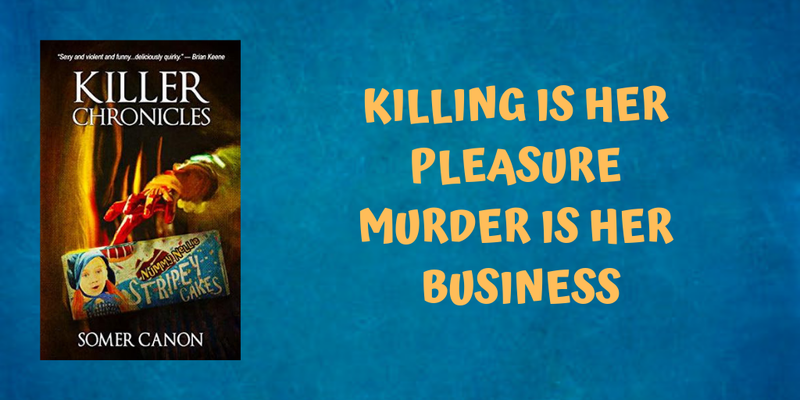 KILLER CHRONICLES centers around a complex character named Christina Cunningham. She runs a true crimes website called Killer Chronicles. Christina goes to Micksburg, West Virginia to do some investigative reporting on a series of bizarrely gruesome deaths. She hopes the story will catapult her site to the next level. Christina isn’t prepared for what she’s about to experience. Or is she? Christina has quite the time in Micksburg. She has a romantic fling. She also discovers what is behind the grisly deaths. I didn’t see it coming. Somer Canon does a fantastic job describing this truly terrifying creature. You wouldn’t believe all of the smells in that hotel room. Housekeeping needs to clean it thoroughly with bleach is all I’m saying. So much happens in that hotel room. You will need a yummy snack cake for this one. Overall, the reading experience was excellence. I devoured KILLER CHRONICLES in one sitting. I couldn’t put it down due to Somer Canon’s writing style–it makes for a quick read. The story is fast paced and the characters are great. Each character is interesting and they all get into the mix in one way or another. I thought I knew where the story was going, but I was terribly wrong. That ending is everything. I didn’t see it coming. I thought it was going one way, then Somer Canon pulls the lever, sending it in another direction. And it’s all for the better. If you’ve read this book, please let me know in the comments below. I need to talk to someone about this great book.